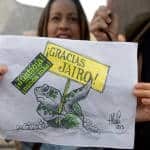 As the sun began to set across Costa Rica on Wednesday night, hundreds of people braved rainy season weather to hold a peace vigil for slain turtle conservationist Jairo Mora. They carried signs, placed lit candles on the beach where Mora was killed last Friday, and created makeshift altars with stuffed animal turtles. It was a somber evening in memory of a young man who gave his life protecting the threatened animals he loved. Mora’s naked and bound body was found in the early morning last Friday on Moín Beach, on Costa Rica’s northern Caribbean Coast, where worked to protect the giant nesting leatherbacks and their precious eggs. According to a report from the Judicial Investigation Police, Mora was on patrol the night he was kidnapped along with four foreign volunteers. 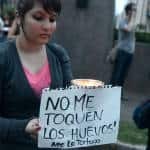 In the aftermath of the killing, environmental groups are calling for justice from the Costa Rican government, and for security to enable the continuation of patrols on Moín Beach. No arrests have been made, but Mora’s colleagues believe the five masked men who kidnapped and killed him could be linked to drug traffickers. 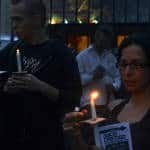 Leaflets passed out by demonstrators at the vigil blamed police and the government for a failure to protect ecologists in the field and demanded swift justice for Mora’s death. “They brutally murdered our companion Jairo, but, in honor of his fight, we will sprout ten Jairos more,” it said on the back of the flyer. 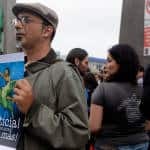 Roberto Molina the secretary general of the Environmental Ministry’s labor union said he came to the vigil in order to protest for additional resources for conservationists and park rangers. 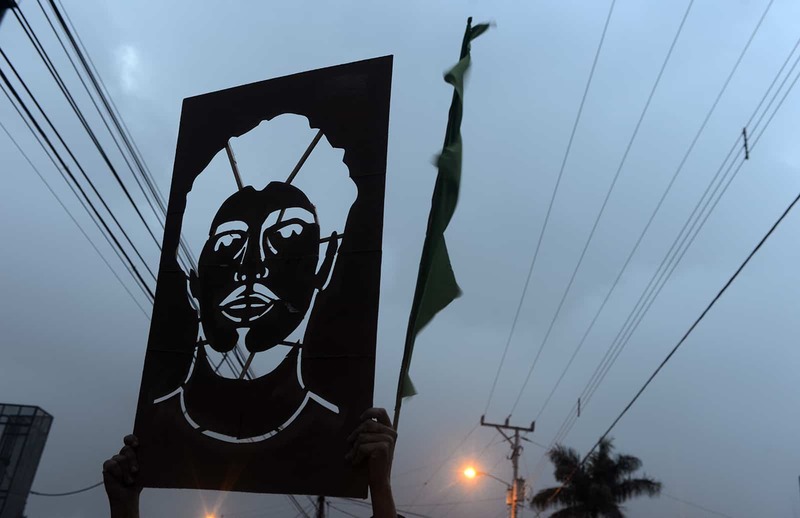 Viceminister José Lino Chavez of the newly created Viceministry of Waters and Oceans attended the vigil and said that the Environmental Ministry was doing everything possible to ensure that Mora’s death did not go unrecognized, citing a coastal policing plan in development. 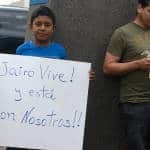 Following are photos of the vigil held in downtown San José outside the Environment Ministry and in front of court buildings. Other vigils took place in Limón, Puerto Viejo, Alajuela, Cañas, Heredia, Ciudad Quesada, Pérez Zeledón and Puerto Jiménez.